212 W. Nine Mile Rd. 1/2 Block west of Woodward Ave. 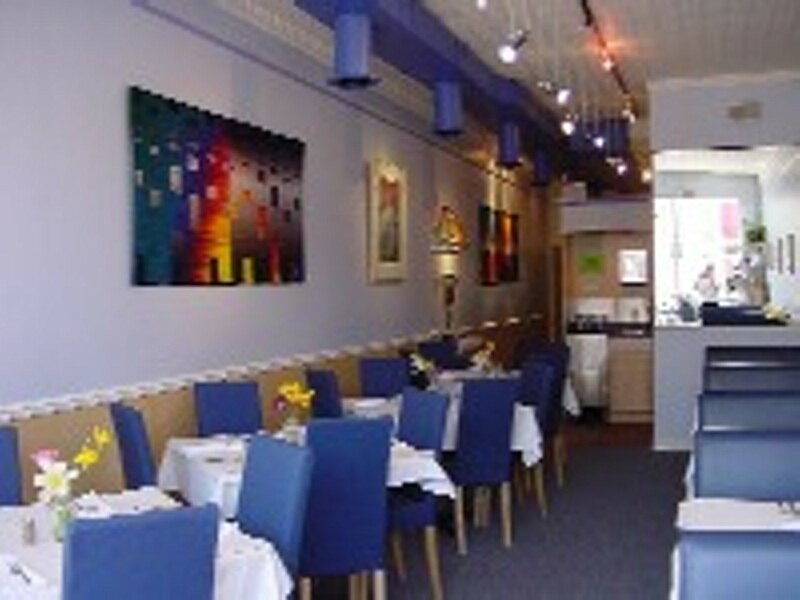 The restaurant's pale blue-gray walls are lined with prints, oil paintings and weavings, all available to be taken down and taken home at your request. A menu features five appetizers, 13 entrées and five to seven desserts, plus some specials. The proprietors have gotten permission to set a four sidewalk tables out front and, have renovated their outdoor service on the back terrace, which now includes two tables, flowers and a water fountain. It's hard to think of anything finer than to sit outside on a summer morning with a mimosa. Closed Sunday and Monday. Full liquor license. Entertainment: Featured artowk for sale from local and national artists.